If you drive often, you will probably get a flat tire at some point. 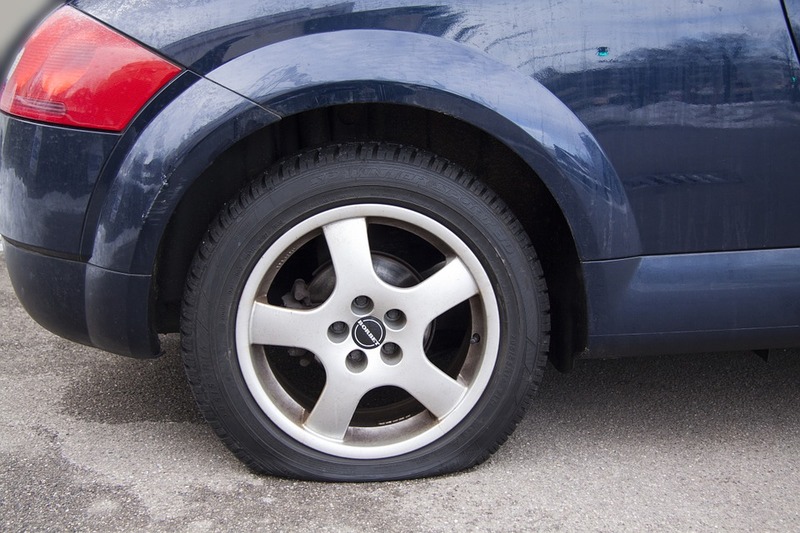 Fortunately, most people can rely on roadside assistance in the event of a flat. All they need to do is safely pull over and call for help. However, there may be instances when you cannot call roadside assistance and are left on your own. In these cases, it will be critical to have a spare tire and know how to install it in place of your old one. If your tire blows out or if you feel it getting flat, slow down and put your hazard lights on. Pull over to a safe place as far away from traffic as possible. A parking lot is optimal, but you can change your tire on a quiet side street, on the road shoulder or off-ramp, or on a long, straight road where you can easily be seen by other road users. If you must change your tire on the road, make sure it is a flat road. Inclines should be avoided. Once you’ve pulled over to a safe place, get your tools and spare tire out. Position your reflective triangles or flares behind your car, and place the wheel wedges against the non-flat tire of your car. Next, check to see if your lug nuts are exposed. If they aren’t, you will need to remove the wheel cover or hub cap. Once you can see your lug nuts, loosen them with a wrench, but do not remove them yet. Place your jack beneath your car. Expand the jack to bring the flat tire about six inches above the ground. At this point, you can remove the lug nuts from the tire and take the flat tire off of the hub. Align the spare tire with the exposed lug bolts and press it into place. Restore the lug nuts and tighten them with your hand. Lower your jack carefully until the tire touches the ground. Remove the jack from beneath your car. Tighten the nuts using the wrench, and replace the wheel cover if you removed it. Next, check the pressure of your spare tire. Once your car is ready to drive again, take the flat tire for repair. Do not drive at high speed or for long distances with your spare tire. Replace your tire as soon as you can. Surely, everybody wanted to survive in a situation where you have nothing to run to but yourself. In times like these, you need to be tough and do the task that is usually done by men. Even flat changing is possible to be accomplished by both men and women if the situation requires them to. Check this infographic that provides tips how to change flat tires.